The GC is confident the new classification will "harness the full potential of unions." SILVER SPRING, Md. --- Faced with several unions around the world that are creating regional rules regarding issues such as women's ordination, the General Conference of Seventh-day Adventists has taken the unusual step of reclassifying all unions as "GC Puppet Ministries." It is hoped hoped that the new relationship will "allow church leadership to harness the full potential of our wonderful, spirited unions," said GC Director of Micromanagement, Hege Mony. 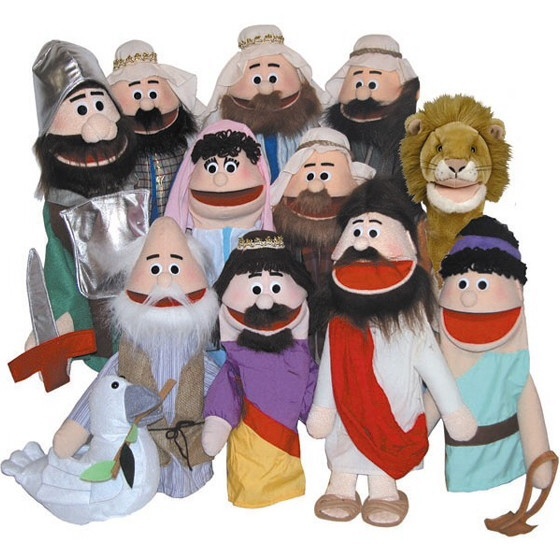 "The Adventist Church has a long and colorful history of using puppets in ministry," said Mony. "Not for one second should we think that the beauty of ministry as executed by puppets on a string should be limited to the context of children's ministry." He added that in comparison to even the rowdiest kids, unions have proven to be "bratty beyond belief." Mony said that although GC senior leadership envisioned all unions around the world as part of a global puppet ministry headquartered in Silver Spring, initial rollouts of the management experiment will begin with hand-picked unions in "North America and other trouble spots." Ha! Nice name for the GC Director of Micromanagement, “Hege Mony.” Yep, it looks like a “hegemony,” where one level is trying to exercise control over the others. YOU KNOW YOU CANT PUT YOUR UP IN THERE UNLESS YOU ARE A GI DOCTOR. I believe the Pope is president of GC. Both are oppose women’s ordination . Both is seen as infallible. Division presidents is Cardinals. Union presidents are archbishop. Conference presidents is bishop. GC president are pope. Is the general conference papacy. GC headquarters, Silver Spring MD, is Vatican. Sorry my english. EDUARDO, YOUR A FUNNY GUY. THESE PUPPETS ARE FRIENDS WITH PENNYWISE THE CLOWN. Stu, you’re amazing. You should be a writer for this site. I CAN’T BE, I’M THE JANITOR WITH KEYS TO THE CONTROL ROOM AND HACK MY COMMENTS WHEN NO ONE IS AROUND. BUT I DID STAY AT A HOLIDAY INN ONCE. Why is it so important to every religion that every Believer should think exactly alike? I mean, the Puppet Ministries story is funny, but a little too close to the truth to be truly satire. Or maybe good satire is always a little too close to the truth. I figured a long time ago that if God is infinite in every way, then God is always way beyond human comprehension in every way, so we should take all our doctrines and dogmas and creeds and theologies a bit lightly. This site is a disgrace. The writer is perpetrating lies in the name of “satire.” Satire is one thing; lies are another. This site is neither one. Shame on you. And you can stop hiding behind that cheesy screenname “sevvy.” We know who you are; we have identified you as Mary Shelley of Trent, Mississippi. Why not use your time, talent, and effort to write something true and worthwhile, like Frankenstein? Nobody even reads this site anymore; and all the people who write comments are a big bunch of losers.